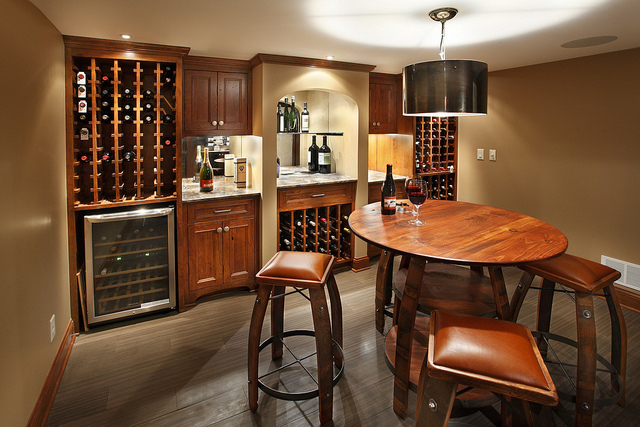 Think about what you need your basement to be, what you’ll really use it for. Do you want to host Superbowl parties? Workout? Store and show off wine? Offer a guest room and bath for visiting relatives? Indulge a hobby? Chances are, you also still need laundry, storage and nuts and bolts mechanical systems housed in the basement, so you want to consider all of that and build to suit. 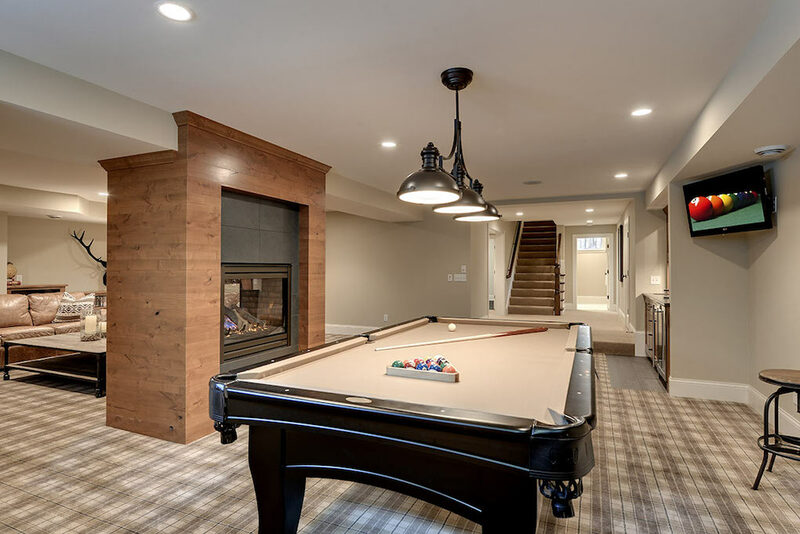 You don’t want to feel like you’re in a cave so it’s key to make the most of natural light, which could include digging out egress windows (something you have to do if you want a basement bedroom, per housing code) and installing plenty of electrical lights. 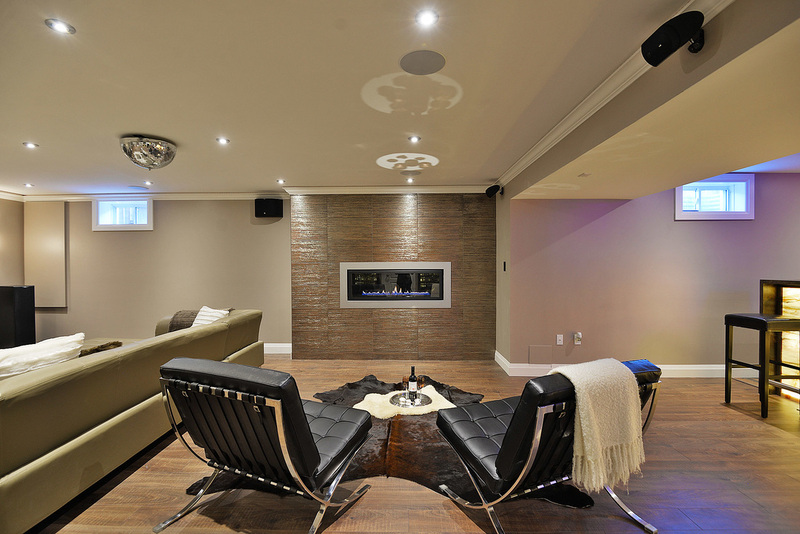 Ceiling cans are the preferred method, but not all ceiling types permit this. Lighting under bookshelves, in a bar area, and with pendants or sconces are other alternatives. This can be a tricky one especially in older homes, where ceilings are seven feet tops, if you’re lucky, and covered with pipes and cables. The go-to solution used to be suspended or drop ceilings but, in addition to being homely, they actually take up valuable inches of ceiling height. They do provide access to pipes and electrical but do you really need it? When was the last time you had to get into the ceiling? 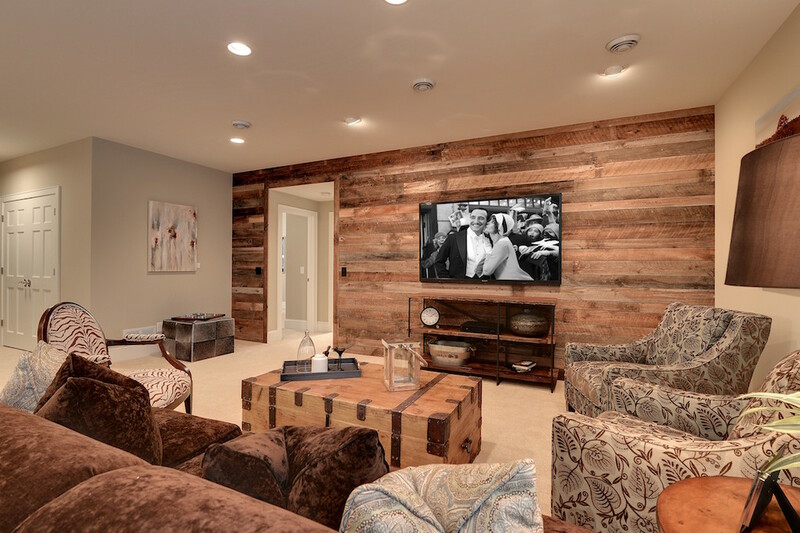 Drywall and plaster take up less space and the look is the same as the rest of your house making it seem less “basementy”, plus the cost is comparable to a drop-ceiling. You can even install a few access panels if you like. Another option is to leave your ceiling unfinished and paint all the beams and pipes a solid color for a more industrial look. If you must go with a suspended type, there are now more attractive tiles available that mimic tin or coffered ceilings. The most obvious choice for our chilly climate is carpet but wood or laminate are also popular. Tiles or epoxy coatings make sense in rooms where moisture might be an issue. For seamless design it’s a good idea to choose trim and hardware that is in harmony with the rest of the house, with some playful touches like a chalkboard door, or a reclaimed wood or zinc bar top thrown in. 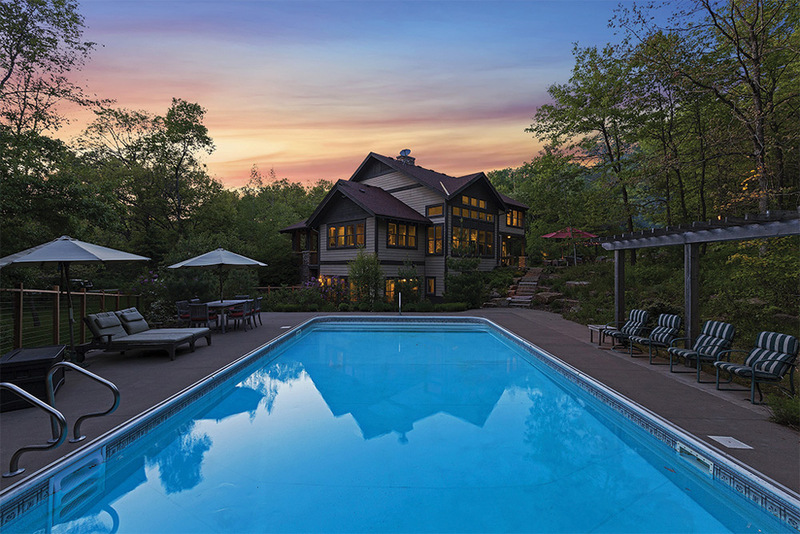 A true arts and crafts prairie style home set perfectly on six acres of beautifully wooded, rolling hills with landscaped rocks and water features surrounding you in nature. The private outdoor pool and patios are the perfect environment to entertain family and friends. Every inch of this extravagant 6,200 square foot home is impeccably designed with amazing artisan-skilled craftsmanship. the views and the light from the windows are spectacular while the floor plan flows perfectly showcasing natural elements like stone, wood and clay throughout the home. 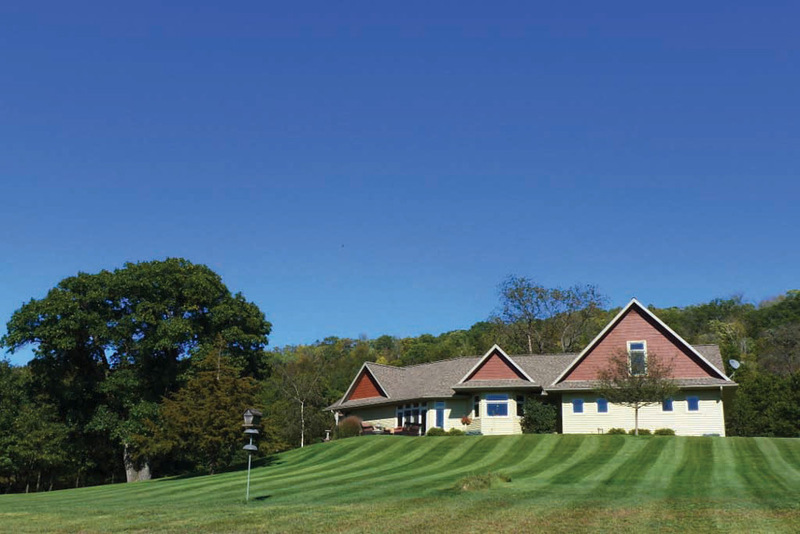 Don’t miss this dreamy ranch-style home nestled on thirty acres in the Rushford area bluffs. The acreage offers open land with amazing views and mature woods for privacy . Open floor plan with main floor master bedroom suite. Over 4,000 total square feet, three bedrooms, three baths. Laurie Junker writes about home design, real estate, and trends and has been contributing to Midwest Home since 2015. She lives in Minneapolis where she's still trying to figure out how to style her bookshelves.